Members of family law organisation Resolution were celebrated in the 2016 Legal Aid Lawyer of the Year Awards (LALYs) last night. Resolution members Baljit Bains and Tracy Winstanley were awarded the LALY for their work as legal aid family lawyers and family mediators. The LALYs, run by the Legal Aid Practitioners Group (LAPG) are legal aid’s most prestigious event and exist to honour the often unsung champions of the legal profession who do so much to support some of society’s most vulnerable people. The awards are now in their fourteenth year. 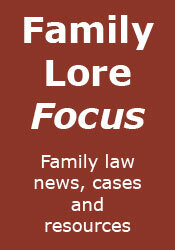 Resolution has once again sponsored the Family Legal Aid Lawyer and Family Mediation categories. “I’d like to extend warm congratulations to all of the winners and finalists at last night’s LALY awards and in particular Resolution’s Baljit and Tracy for their fantastic achievement. They are both great ambassadors for the values that Resolution promotes. “LAPG is proud to organise the LALY awards on behalf of the entire profession. Like Resolution, we are committed to recognising and inspiring excellence among legal aid lawyers. This is our 14th year, and the calibre of 2016 entrants remains impressively high, and a tribute to the vital and life-changing work that legal aid lawyers do every day of their working lives.